Posted by Cari Anne Cashon on March 22, 2018 at 5:14 PM. Filed under Around the Home, Power . 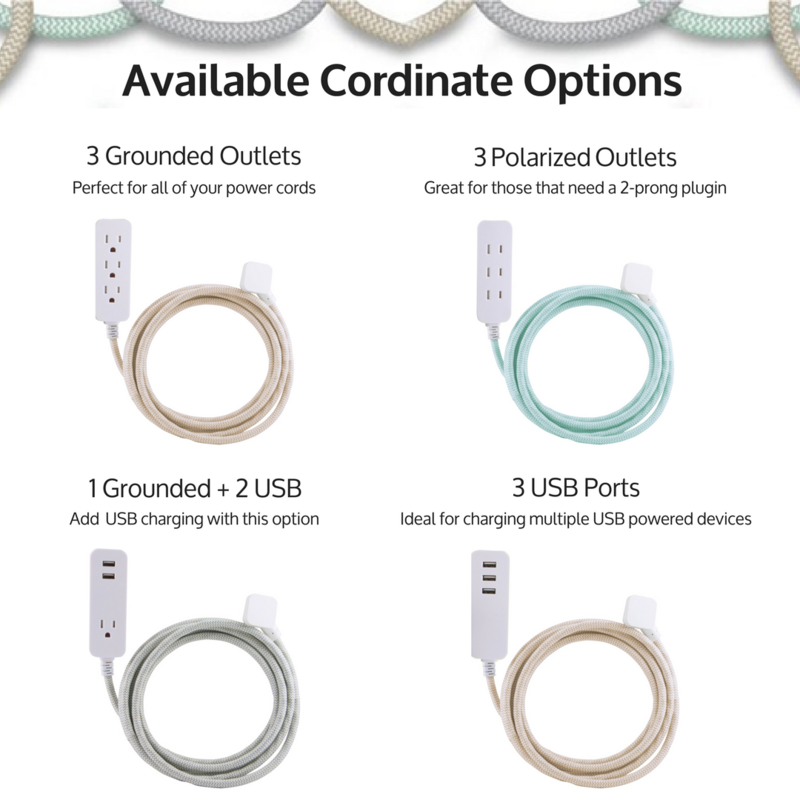 Say hello to the Cordinate Designer Extension Cords and upgrade your space with one simple touch. These extension cords have a premium braided cord in a variety of fashionable colors, providing a stylish addition to any room. This product line comes in multiple power and charging options. While these cords are an attractive way to power your devices, they also provide protection for your connected devices, and built-in surge protection ensures that your connected equipment stays safe from harmful voltage spikes. The modern and space-saving design of the flat plug ensures your plugs keep a low-profile, while also allowing your furniture and media to sit closer to the wall. Want to make sure your cord matches the room décor? Each variety comes in three color options: mint, gray, and champagne - making it easy to choose one to match your personal style. Want even more color options? Cordinate doesn’t stop at just three options. The Cordinate line of 3 polarized outlets comes with 6 decorative color options. These cords have an 8-foot-long power cord, flat plug, and safety lock outlets. Your styling choices are extended even more with the varying design patterns, including chevron and solid. 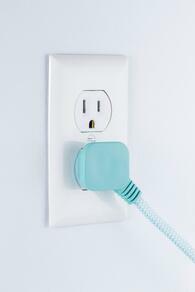 Cordinate Designer Extension Cords are changing the way we view extension cords by adding beauty in unexpected places. Next time you’re working on your Pinterest-worthy room, don’t forget about this simple and affordable way to upgrade your room. Cari Anne Cashon is an E-Commerce Specialist at Jasco, managing the online sales and presence for power products. She holds a Bachelors in Business from the University of Oklahoma, an MBA from Wichita State University, and is currently continuing her education at Stanford. When she isn’t living in E-Commerce world, she enjoys trading stocks, working out, and binging on Mexican food.